I have to admit that The Midwife's Confession is the type of book I would never normally pick up. It has a baby in the cover and I am not really a baby-person, so already that would have normally distanced me from this one. Also, it focuses more on women of my mother's age rather than on my own age, which usually is also a turn-off for me. But for the month of June I decided to randomly pick the books for my TBR pile and this is the first one that I picked out.And wow, let me tell you how happy I am that I did so. At the beginning of the novel, Noelle, a 40 something woman commits suicide. 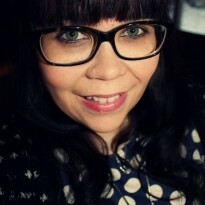 She is calm and confident, and it seems that she has been kind of expecting it. When Emerson, her friend, finds her, questions why Noelle did it come to the surface. With Tara, also a good friend of Noelle, Emerson starts to look into Noelle's life, and as they learn more about it, they start to realize that they did not actually know Noelle that well, despite the fact that they had been friends for a really long time.The novel has multiple narrators and it is divided into three sections. Section one is narrated by Tara and Emerson in the present and by Noelle, who provides glimpses to her life beginning from her childhood. In the second part, Anna, a woman who's child got missing after she gave birth to her is added to the list of narrators. In the third part of the novel we learn things also through the eyes of Grace, Tara's daughter.I really liked all of the narrators. Noelle is a completely mystery throughout the novel - there are things that I really liked about her, but also things that made me judge her a bit. Emerson is strong, but also react realistically to the things she learns about Noelle, the woman she thought she knew really well. Tara has been through a lot - her husband has died recently and the relationship she has with her daughter is complicated. Anna has been looking for her daughter for years, without hope. And Grace is going through some issues with her own life, at the same time trying to recover from losing her father. When all the secrets Noelle kept are brought to the surface, the life of these characters will never be the same.I am quite surprised of how much I actually enjoyed this novel. I think it is mostly because of the fact that it is the type of book I would never pick up. I had not heard about it before and the author was unknown to me. But once I started, I really could not put it down. I read it til 4.30am the night I started reading it, and had to finish it right after sleeping for a couple of hours. I think what made me want to keep reading was the way the story was structured. As you read on, you get more and more information, and once you think that you know the answers to the questions, everything is turned upside down. I really thought I had the whole thing figured out, but then towards the end everything changed. The writing is very good and descriptive - you really get to know a lot about these characters and their feelings. 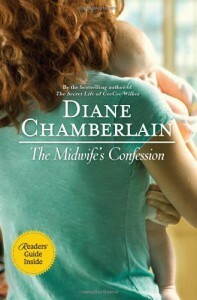 I thoroughly enjoyed The Midwife's Confession and I am more than interested to read other novels by Diane Chamberlain. Are you familiar with her works? If so, please give me recommendations!